Since the days of World War II, the John E. Brophy Award has been a mark of excellence in St. Ignatius athletics, recognizing the outstanding Wildcat athletes throughout the years. 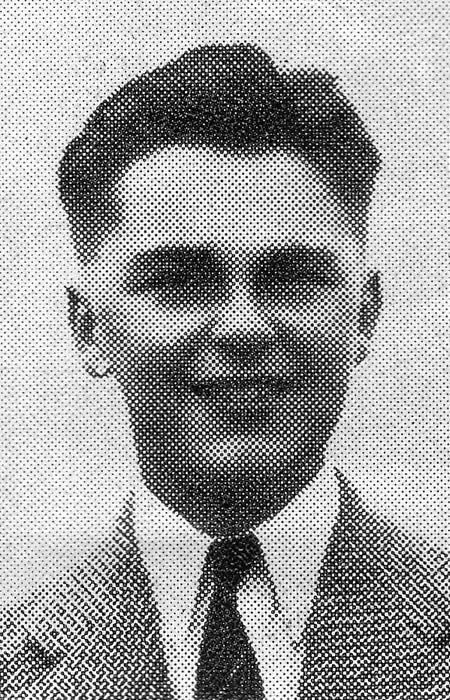 Jack Brophy entered St. Ignatius in the fall of 1939, after having attended Star of the Sea Grammar School. During his freshman year he developed a serious illness which resulted in the amputation of a leg, but he rebounded from this setback. Jack excelled in his studies, and, despite his disability, he participated in many extracurricular activities. He was a member of the Sodality, the Sanctuary Society, the debate team, and the California Scholarship Federation; he was a student body officer; he wrote for the school newspaper, the Red and Blue. Jack had been an avid swimmer, and although he could no longer take to the water as before, he became the manager of the St. Ignatius swimming team. Through this, he gained membership in the Block Club. Those who knew him described Jack as a friendly, generous young man who made the most of his time at St. Ignatius. In November of his senior year Jack's illness reappeared and his condition worsened. During this time, the varsity basketball team dedicated its championship 1943 season to him. He died on February 10, 1943, and at the end of that school year the Block Club established the John E. Brophy Award to honor the memory of the young man who was described at his death as "an ideal Ignatian." Selected annually by vote of the Athletic Department and the Block Club, Brophy Award recipients are the students who have contributed most to St. Ignatius through their athletic prowess. The honorees are also chosen for the degree to which they meet the high standard set by Jack Brophy for loyalty, integrity, and unselfish dedication. And so, in addition to recognizing the most talented Wildcat athletes, the Brophy Trophy also pays tribute to outstanding individuals. As students and as graduates, they are a source of great pride for St. Ignatius.